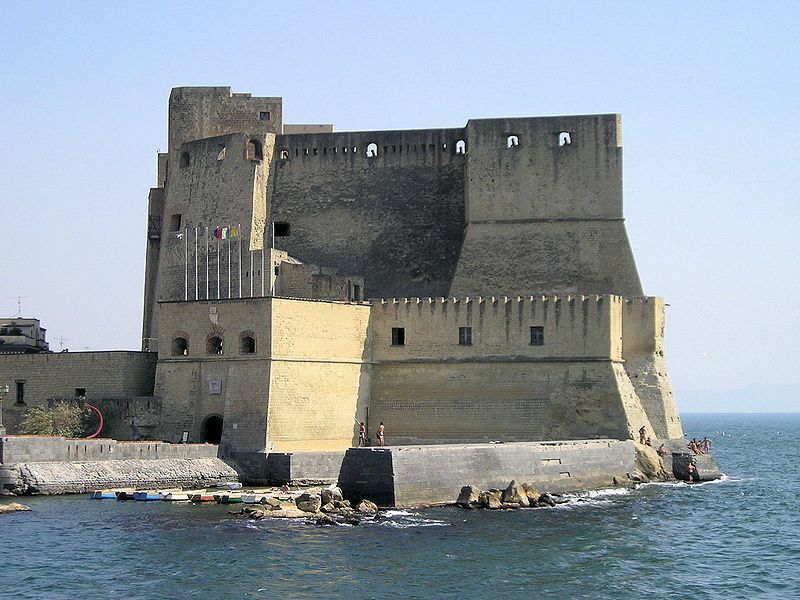 As to legends go, Greek merchants coming from the island of Rhodes settled on the island of Megaris approximately in 600 BC where the Castel dell’Ovo (first picture) was erected much time later. 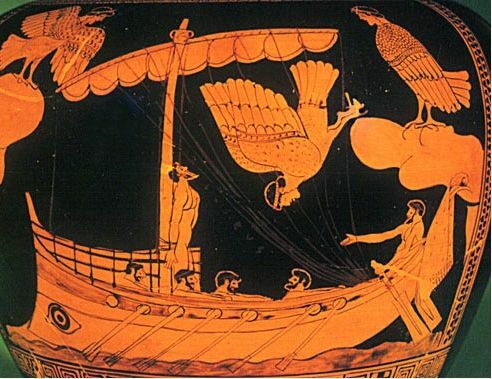 Their settlement was named after Parthenope, the siren who after being unable to make Ulysses (second picture) fall in love with her drowned herself. The city developed as far as Monte Echia on the mainland. As to historical records, it has been much hard to find something to let us know more about Naples’ beginning. Cuma, established in the 8th century BC, which was later called Cumae was situated 10 km up the coast and was the real first strong position of the Greek world from where the conquest of Italy continued. For two centuries it remained a powerful and influential city with growing economic power. Besides its famed Sibyl was believed to preside over the Apollonian oracle. It was also a stronghold as was strategically located to repulse both Etruscans expansion intentions. After the second invasion the Greeks from Cuma decided to establish Neapolis (new town) on the mainland to differentiate it from Paleopolis which was the name given to Parthenope then. The specific foundation site was in what is today the historic centre. In 421 BC the Greeks could not repel another Etruscan invasion. Finally the Samnites seized Neapolis . About a century later, in 326 BC Neapolis was seized by the Romans. They turned it and the nearby regions into a holiday destination. Important people such as Poppea, Nero’s second wife, and Julius Caesar’s father-in-law loved this region. The Neapolitan never surrender to their invaders. They kept their language which laid foundations of the Neapolitan dialect and did not support Rome during the Civil War, a fact that made Cornelius Sulla had thousand killed. The slave Spartacus (third picture) and his people stayed on the slopes of Vesuvius in 73 BC.When Vesuvius erupted in 79 AD Pompeii and Herculaneum just disappeared under a mass of lava, mud and ash. About two decades earlier the region had suffered an earthquake that had made the rural production fall. The area was already extensively devastated as they could not compete with the cheap food from the Roman colonies. In the meanwhile Neapolis was receiving Virgil who stayed in it for a while and General Lucullus had an enormous villa constructed where Castel dell’Ovo lies today. Neapolis’ history was influenced by the Roman Empire’s. When it fell into the barbarians’ power, Neapolis had no escape from it.